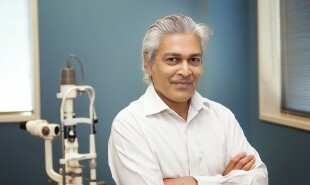 Dr Rohan Weerekoon is a General Ophthalmologist, with a special interest in cataracts, glaucoma, medical retina, neuro-ophthalmology and oculoplastics. He also holds regular private satellite clinics in Huntly and Thames. Dr Rohan Weerekoon qualified with a Bachelor of Science at the University of Auckland in 1974 and went on to complete his medical degree in 1977. Dr Weerekoon specialised in Ophthalmology, completing most of his training in hospitals and educational institutions in Wellington, New Zealand and Sydney. Dr Weerekoon was made a Fellow of the Royal Australian and New Zealand College of Ophthalmologists (FRANZCO) in 1985 and has had extensive work experience in Australia, Sri Lanka and New Zealand.